There are compromises you make with every job, that’s normal. But these are telltale signs it’s time to move on. Sometimes, employees get burnt out. They work too much, don’t get enough time off, and they’re left feeling completely drained—and eventually, they’re ready to quit. “With the rise of the mobile workforce and the resulting ‘always on’ work culture, it’s not a surprise that employees are feeling overworked and burnt out,” said Dan Schawbel, founder of WorkplaceTrends.com, in a release. 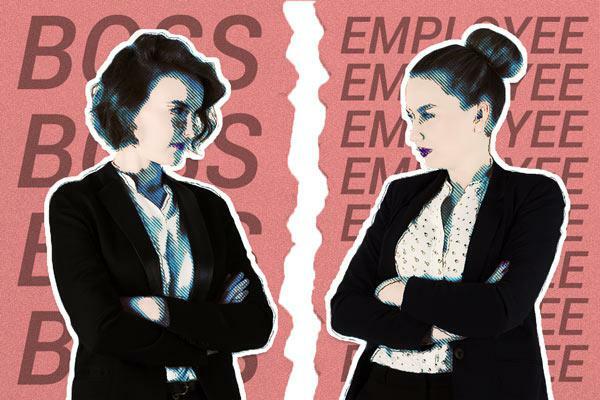 More than half of U.S. workers fall victim to workplace burnout, according to research from Staples Advantage, the B2B division of office supplies retailer Staples, and WorkplaceTrends.com. Before things get to this point—and you feel like you’ve sold your soul to the company—there are four red flags that indicate it might be time to start looking for a new job. It’s time to beat the burnout with your sanity still intact. The fulfillment of most of our career aspirations depends on education, formal or not. If you’ve stopped learning at work, despite having made numerous attempts to seek out opportunities to learn, it might be time to leave. Shayleen Stuto, a talent development manager at TechnologyAdvice in Nashville, recommends sticking with your role or company until you reach a point that you’re no longer learning and adding to your skill set. But before you decide to run, make sure you’ve exhausted all of your career resources. If your manager or team are unwilling to provide the necessary education for you to thrive, can you ask human resources who else might be able to teach you? For all you know, they might have a professional development program tailored to your position. Disliking work and dreading it every night you’re not at the office are vastly different. Everyone dislikes certain aspects of work—their hours are long, or their commute feels like a transatlantic flight, or they’re stuck entering data into spreadsheets when they want to be writing and editing stories. “The time that you start to dread going to work is when you should consider a new job,” says Kallen Diggs, career consultant and author of Reaching the Finish Line. When disliking turns to dreading, consider pushing hard to find new work opportunities. Consider this: U.S. inflation has averaged 2% per year over the last five years. That means that every year you don’t get a raise, you get a 2% pay cut. If you’ve been working in the same position for years and haven’t gotten a raise, despite asking for one, it’s probably time to go. “If you don't see any future at your current position when it comes to money or promotions, it's time to move on,” says Christina Nicholson, a media professional at MediaMavenAndMore.com. If it seems like every time you get up from your desk you’re watching another person walk out the door, there’s probably a reason for that. Ask them why they’re leaving—why not know for yourself? Or check out reviews of your company online and read what other employees are saying. Of course, if you’re happy, to each his own. Don’t necessarily consider leaving just because everyone else is. Just get to the bottom of it. If people are quitting in droves, the reason could affect whether you want to be at the company long-term. And as always, before saying sayonara, research job options, network with people in your industry, clean up your portfolio, and line up interviews. Go forth and find better! Find the right job for you on Monster.